Douglas Bergeron, CEO of Verifone (PAY), disclosed earlier this month that DGB Investments- a related principal investment firm which presumably manages part of his net worth- acquired 155,000 shares of Verifone in accordance with a 10b5-1 purchase plan. The stock is roughly flat since the beginning of the year, down about 4%, but this fact masks a run-up in the stock to the low 50s in April before dropping back down close to $30 recently. On average, the fund bought shares of Verifone at $32.50 beginning on July 6th. With the stock currently back to $35, DGB is close to a 10% return over the past week. Verifone provides electronic payment systems, most notably point-of-sale equipment that allows retail customers to pay by credit card. Bergeron had previously sold a number of Verifone shares in late March 2011; the stock dropped 19% in the second quarter of that year and another 19% in the second half. As an insider Bergeron likely had a good deal of confidence that the company’s performance was going to suffer; now that he is buying, it could be a bullish sign for the stock. Another insider (Jeffrey Dumbrell, an Executive Vice President), made a sale this past April through a 10b5-1 sales plan, with the stock dropping 36% in the past 3 months. While PAY’s momentum is clearly downward, its CEO apparently believes that the company’s future prospects will lead to a recovery in shareholder value, signaling to outside investors that the company is worth a closer look. Hedge funds have been active in Verifone’s stock as well. Bain Capital’s Brookside Capital (see more of Brookside’s stock holdings) owned 2.4 million shares at the end of March, though this was a much smaller position than some of Brookside’s other stocks such as Apple (AAPL) and Youku (YOKU). This Verifone position was initiated in the first quarter of 2011. Another fund with a substantial position in Verifone is Columbus Circle Investors, which manages about $1 billion in hedge fund investments as part of its total AUM of $17 billion. Columbus Circle owned just over 2 million shares (click here to see what else Columbus Circle owned) , more than doubling their position from the end of December. PAY compares well to its primary public peer, NCR (NCR), formerly known as National Cash Register, in terms of valuation. NCR produces many of the same products as PAY but has a stronger emphasis on self-service devices including self-service checkouts and ATMs. 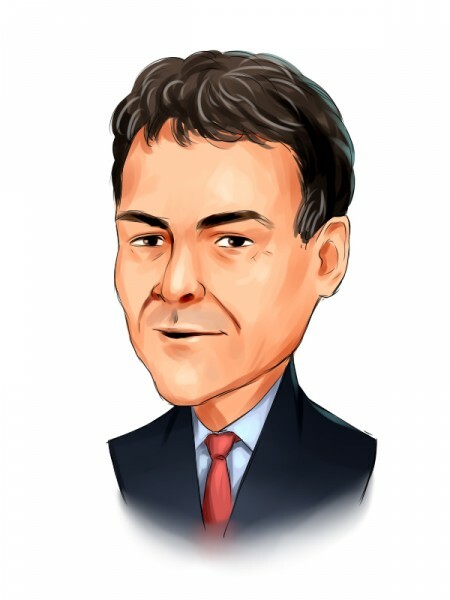 David Einhorn is a huge fan of NCR (see Einhorn’s top picks). The two companies have similar market capitalizations between $3.5 and $4 billion. Verifone trades at a much lower price-to-earnings ratio of 16 compared to NCR’s 53, but NCR is expected by analysts to grow its earnings more rapidly this year to the point that it actually has a lower forward P/E (8.5 versus 10.8 for Verifone). In reality, Verifone has been growing its revenue at a higher rate recently while Wall Street analysts apparently expect that trend to reverse. The CEO seems to disagree and is willing to back it up with his own money. Investors may want to go long PAY or initiate a pair trade in which they also short NCR.